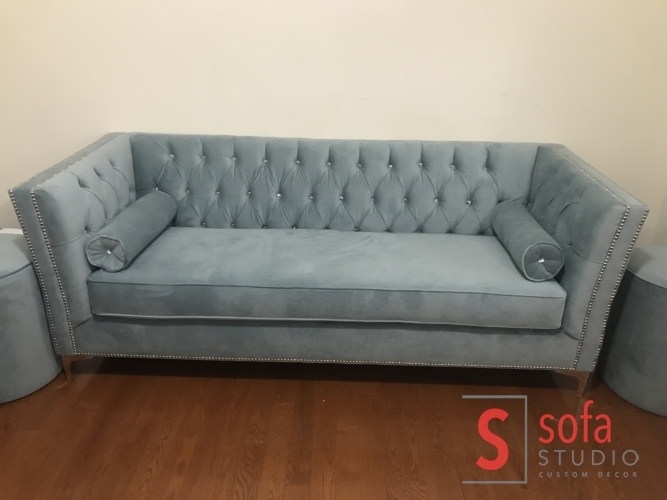 Modern Tuffting Velvet Sofa Made in Canada by Sofa Studio. This Versatile Sofa can be Customized with Choice of Fabric and Leather. Tuffting Options also Available with buttons . 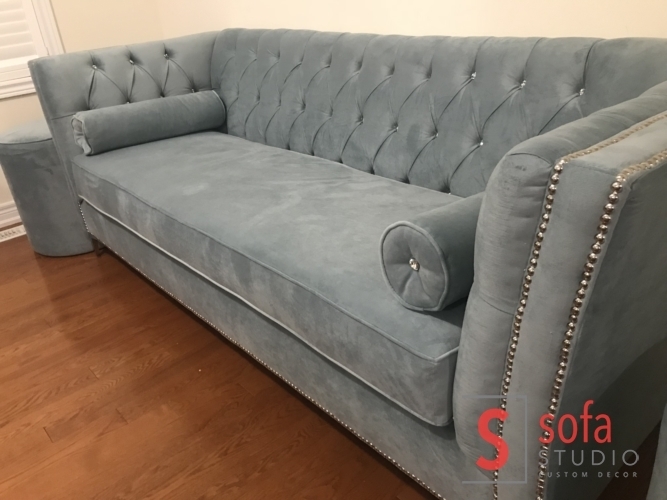 Designed and Manufactureed in our Sofa Factory in Brampton.